Voici des petits hiboux pour offrir. 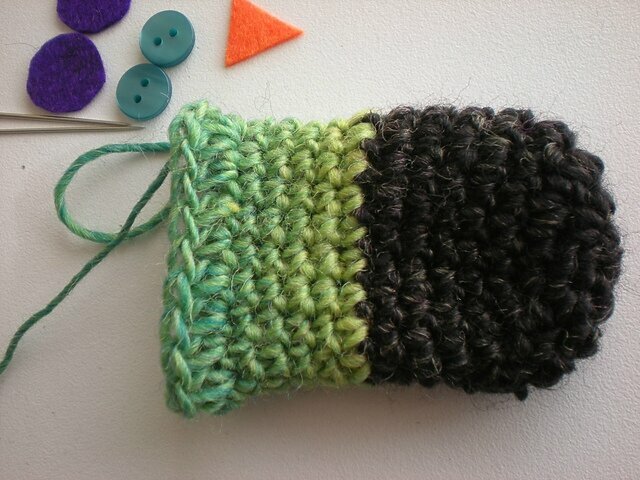 Ils sont crochetés en laine chez Drops Delight, crochet 3mm. J'ai fait un tuto en anglais. Unos pequeños búhos para regalar a las amigas, un pequeño detalle. He utilizado lana de Drops Delight, ganchillo de 3mm. He realizado un tutorial en inglés. Here are some little owls to offer. 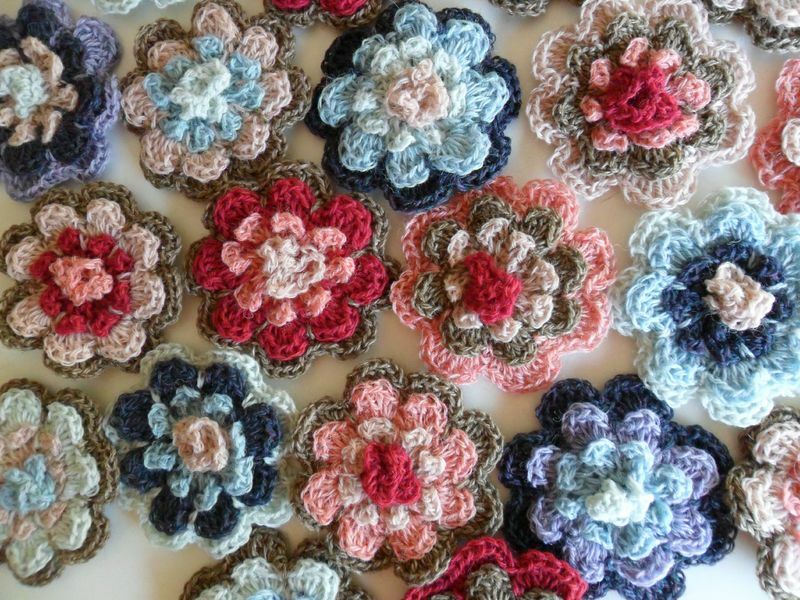 They are crocheted with wool Drops Delight, 3mm hook. I made a tutorial in English. 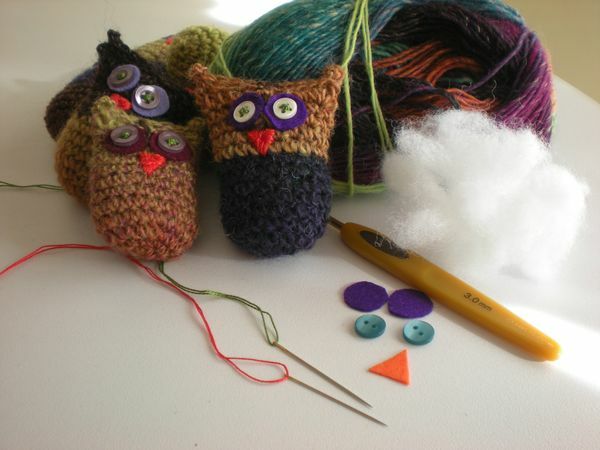 Note: Owl is crocheted in continuous rounds. Mark the first st of each round as you stitch. Round 1: Using a magic ring, Sc6 into ring and draw closed. (OR ch 2, 6sc in 2nd ch from hook.) (6 sts). Round 2: Sc2 in each sc around (12 sts). Round 3: **1Sc in next sc, Sc2 in next sc. Rep from ** around. (18 sts). Rounds 4-13: ** Sc1 in next sc. Rep from ** around. (18 sts). 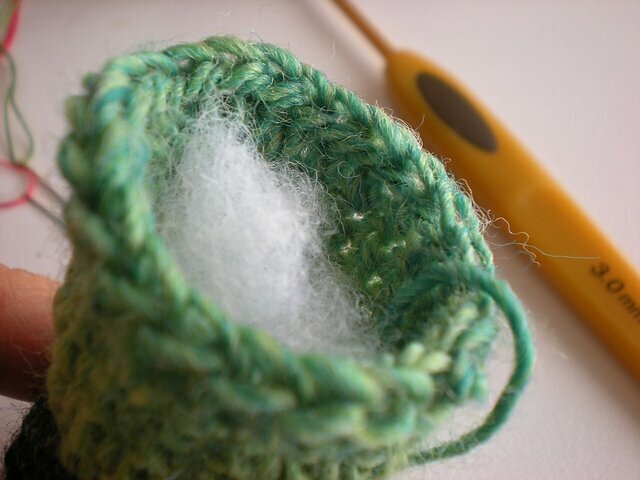 Rounds 14: Ch2+ 1 Half double crochet in next sc, “1 Half double crochet in next sc” Repeat from “18 times”, 3 half double crochet in next sc. (22 sts). Round 15: Ch4, together and fold the circle with Sc. 1Sc in next hdc (Total 22sc), 4ch, 1 sc in next sc. 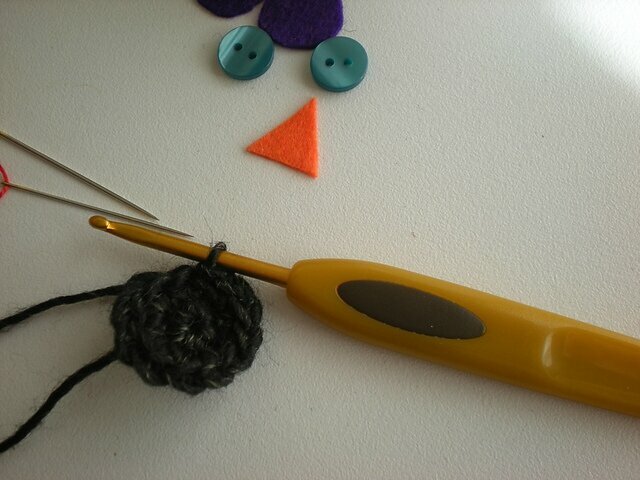 Sew buttons or attach safety eyes to the center of the eye circles. Finish stuffing, with toy stuffing BUT do not overfill. Stitch top of owl closed. 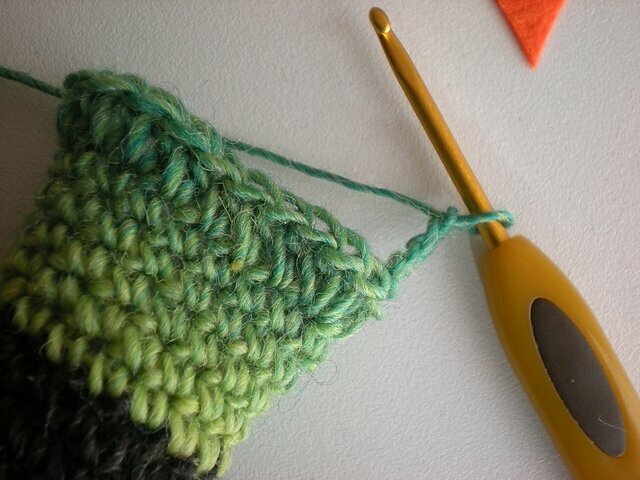 Using tail, stitch under both legs (loops) of both stitches that face each other when the top is pressed flat. 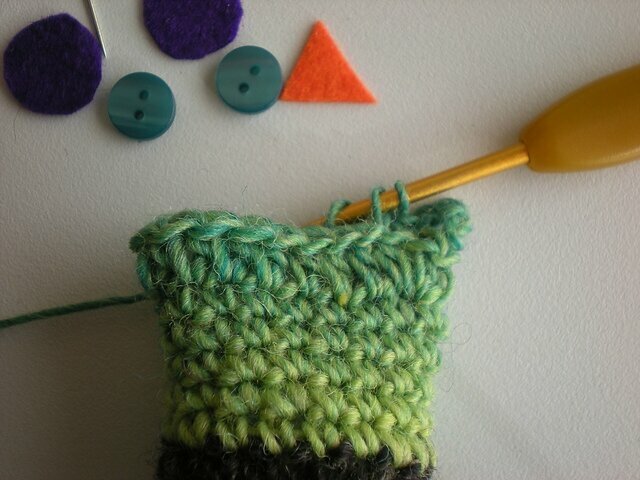 Stitch to other corner, secure end. Pull up the corners to form the ear tufts. 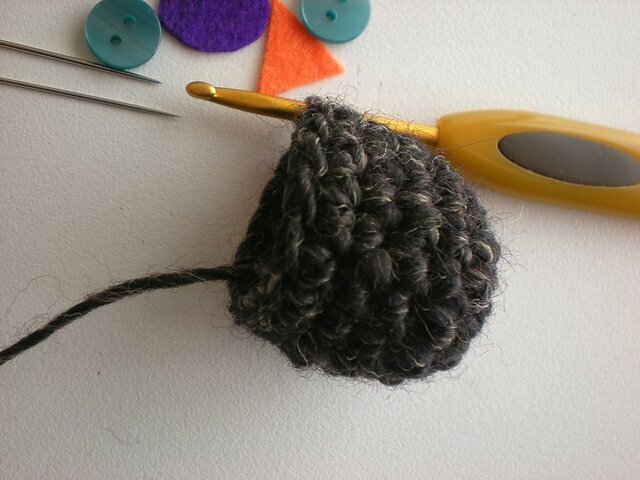 Optional: Use a few strands of yarn to make short fringe on the tops of the ear tufts. 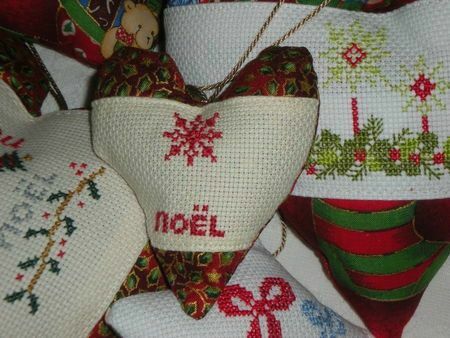 Joyeux Noël et bonnes Fêtes de fin d'année! !Os deseo una Feliz Navidad y un buen año! Ils sont adorables tes petits hiboux. très mignons! en porte clés, ils s eront parfaits!